A doctor was dragged off a United Airlines flight attempting to fly from Chicago to Louisville on Sunday. "United airlines overbooked the flight," Bridges wrote. "They randomly selected people to kick off so their standby crew could have a seat. This man is a doctor and has to be at the hospital in the morning." Bridges continued, "He did not want to get off. We are all shaky and so disgusted." Audra Bridges spoke to Courier-Journal about what happened. 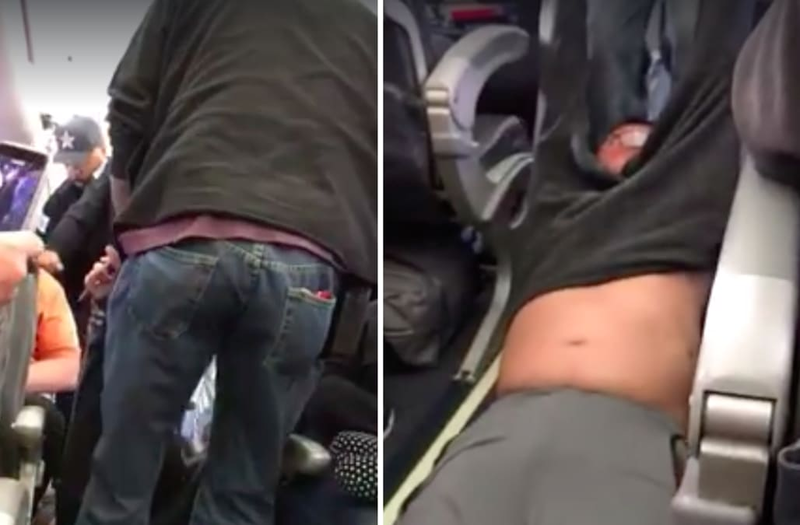 Apparently, United told passengers that the flight was overbooked by four people. They offered $400 and a hotel stay and were looking for volunteers. When no one volunteered, United said the plane would not take off and upped the offer to $800. When no one volunteered still, the manager said the computer would randomly pick people. The doctor was one of them, and was very upset because he had to see patients the next day. According to Bridges, the man was the only person United attempted to force off. "Everyone was shocked and appalled," she told the Courier-Journal. "There were several children on the flight as well that were very upset." Two United staffers I'm talking with are clear: the man was asked to deplane and he refused. They ask: what else were they supposed to do? United Airlines CEO Oscar Munoz then released a subsequent statement, saying he apologizes "for having to re-accommodate these customers." The flight was delayed two hours and landed in Louisville late Sunday.